A U.S. official announced yesterday that the U.S. Consulate General in Jerusalem, which serves Palestinians, will be absorbed into the new U.S. Embassy to Israel in March. Why it matters: The move is of a piece with the administration's attempts to recast the Palestinian refugee issue and its apparently tenuous commitment to a two-state solution. The merger is yet another demonstration of the Trump peace team's determination to change U.S. policy toward core elements of the Israeli-Palestinian issue, both on paper and on the ground. Between the lines: The merger might create the impression that the administration envisions not a two-state solution, but what Israel's Netanyahu has called a "state-minus" Palestinian entity, with most of Jerusalem, save some potential adjustments, falling under Israeli sovereignty, along with much of the West Bank. Coming a month before Israeli elections, the merger will also strengthen the bond between Trump and Netanyahu and further the perception that the administration wants Netanyahu re-elected. The other side: Palestinians will see the merger of the consulate — after the closing of the Palestinian Liberation Organization office in Washington — as a further effort to downgrade their status. It will only fuel the apprehension that the Trump administration has no policy toward Palestinians beyond pressure and that Washington has surrendered its role as an effective broker. What to watch: The administration's most decisive litmus test for the Israeli-Palestinian conflict will come after Israel's April 9 elections, when it plans to unveil its much-touted "ultimate deal" Middle East peace plan. The odds of success for such an unprecedentedly comprehensive peace plan are vanishingly small. Aaron David Miller is vice president for new initiatives and director of the Middle East Program at the Wilson Center and a former Middle East analyst and negotiator at the State Department under Democratic and Republican administrations. Israeli Prime Minister Benjamin Netanyahu is helping to open doors in Washington for Honduran President Juan Orlando Hernández as part of his effort to push the Latin American nation to move its embassy in Israel to Jerusalem. Israeli officials said this was one of the reasons Netanyahu organized a trilateral meeting with Hernández and Secretary of State Mike Pompeo Tuesday in Brasilia on the sidelines of Brazilian President Jair Bolsonaro's inauguration. Why it matters: U.S.-Honduran relations are currently tense over immigration issues, specifically migrant caravans. President Trump even threatened to cut U.S. aid to Honduras and other Central American countries if they do not stop their migrant flows to the U.S. Israeli officials said that Honduras had requested Israel's help in warming relations with the Trump administration as one of its conditions for moving its embassy to Jerusalem. Israeli officials who spoke to reporters on Netanyahu's plane back to Tel Aviv said Hernández asked Netanyahu to get him a meeting with Pompeo because he couldn't reach him for a long time. They added that Netanyahu asked Pompeo to join his meeting with Hernández, which dealt mainly with the issue of moving the Honduran embassy to Jerusalem. The short trilateral meeting lasted 15 minutes. The Israeli officials said Netanyahu told Pompeo that Israel is ready to help Honduras on issues like water and agriculture development, which pushed many Hondurans to attempt to head north. Netanyahu emphasized this to highlight why it would benefit the Trump administration to join in those efforts. After the meeting, they issued a joint statement which said the three countries agreed to strengthen political relations and coordinate greater cooperation on development in Honduras. What they're saying: The joint statement added, "They also agreed to pursue a plan of action which includes meetings in their three capitals to advance the process of the decision to open embassies in both Tegucigalpa and Jerusalem." 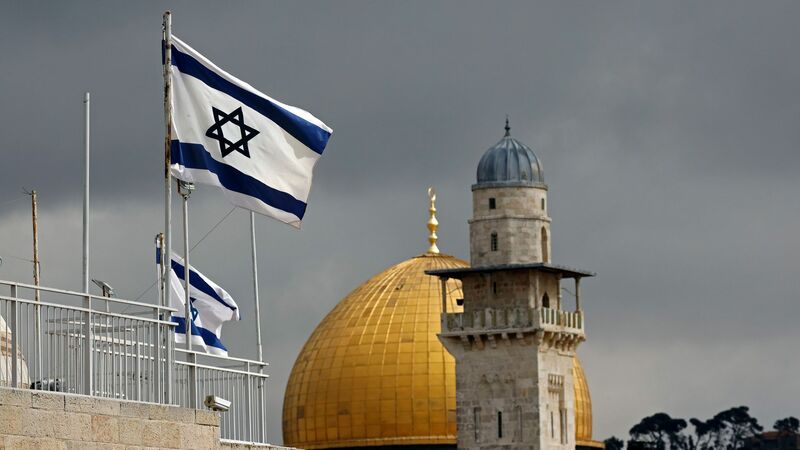 The Israeli officials said they hope Honduras will move its embassy to Jerusalem within two months — and Israel will open an embassy in Tegucigalpa during the same time frame.